Don’t take advantage of your title or positional power; instead, inspire by making them feel like an equal. Share the vision and decision-making with others. Make sure followers have a seat at the table in important decisions. Provide followers with all the resources they need so they can become better leaders. While he was still my “principal” and expectations of my performance were high, I recall how much more satisfied and engaged I felt than at any other time in my young corporate career. What was it about this professional relationship that worked out so well for me? It comes down to four leadership principles proven over time to build trust and loyalty in followers. He facilitated a shared vision. My first principal communicated an image of the future that drew us all in. It spoke to what his team (my colleagues) saw and felt. Destination: Where are we going? Purpose: Why do we exist? What greater good do we serve? Values: What principles guide our decisions and actions on our journey? When a vision addresses all three of these questions for team members, a tremendous amount of energy is unleashed. He shared power and released control. If you want to foster high trust, risk-taking, creativity and open communication, but you’re still riding on your autocratic high-horse and instilling fear, consider getting off for the higher road of sharing power and releasing control. This means allowing the freedom for others to experiment, lead themselves, stretch, and make mistakes. 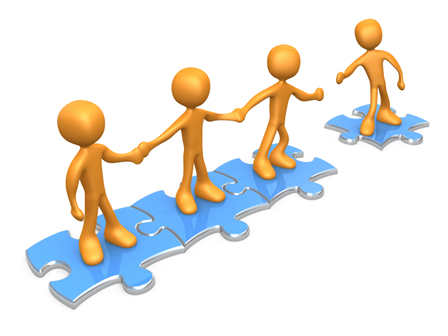 This will unleash discretionary effort and your team will produce great results. That’s what happened to My first principal’s team. He put people in positions to lead. 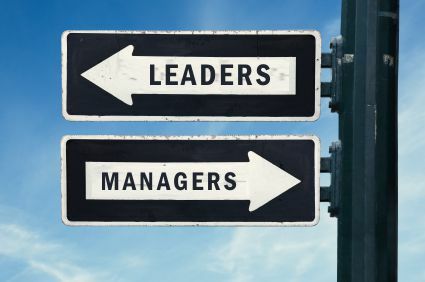 Instead of leveraging his positional power for personal gain, self-promotion or demands for special privileges, My first principal put his people in positions of leadership to stretch their growth and develop new strengths and roles. The return on this investment was watching a leadership culture rise up. Many of us got promoted to leadership roles, filling key positions internally. He pushed his authority down. In highly effective organizations, there are leaders at every level, not just at the top. The solution is always to push authority down so you’re creating a leader-leader culture. This is what My first principal did exceptionally well.By the way it was not Michael Scott!!! What are some good examples of leaders who share leadership? How do they do it? I have worked under some amazing principals. In my years as a teacher, they have been very different, mentors of varying degrees, in different environments. Looking back now, I am SO thankful for how different. Above all else they encouraged me. I suppose the key to these is the key competencies of our national curriculum and ensuring we are getting it right in the classroom. Focus a good deal of your teaching on “learning how to learn” skill development. Read up on how to teach study skills, learning to learn skills, research skills, inquiry skills. Make sure that your students grow both in terms of content they learn and the “learning to learn” skills they need to develop in order to learn well in the future. Make “asking questions” central to your teaching and to your learning environment and school culture. Give students more choices and options – in the classroom. Use inquiry strategies, research skill building activities, interactive learning and projects as critical parts of teaching. Incorporate more interest based projects into your curriculum. Where possible, make learning experiences more “authentic”. Ask “how does this relate?” How can you provide students with a concrete understanding of their future options? Can you take field trips to different places of business? Colleges and universities? Bring in speakers? Create more ways to integrate learning across the curriculum and consider ways to redesign the curriculum. When redesigning or renewing the curriculum, examine whether curriculum materials or programs have a significant component built around developing curiosity, motivation, relevance and interest. There is little doubt there are lots of challenges here but it up to us as teachers to challenge ourselves to create authentic learning environments. 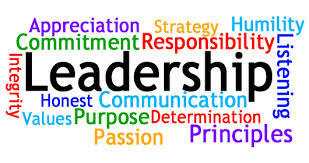 Who am I : Leaders must know themselves, their strengths and weaknesses, and where they will and won’t compromise. Good back to your philosophy or educational vision. You wrote it when things were clear and let it guide you. Keep It Simple: Complexity creates pressure. The best leaders look to simplify everything they can. Focus: Focused leaders rarely feel external pressure. When I concentrate on the strategic plan and annual goals based on data it all becomes clear. Did I train today: If the answer is no then that is probably why I am so tight. Leaders who don’t create time for quality thought and planning end-up taking unnecessary short cuts and risks. They let pressure force them into making bad decisions that a little whitespace could have prevented. A few random thoughts this week as week are in the midst of reports and I have read some intesting pieces in last week. Good school leaders share the same qualities as good managers. They are as CK Prahalad says ‘custodians of society’s most powerful institutions’. I was reading Prahalad’s column in the 2010 Jan/Feb edition of Harvard Business Review, I was struck by the timelessness of Prahalad’s notes for managers (written in 1977) and St Ignatius Loyola’s principles for leaders (written in 1500s). I must recommend the publication. 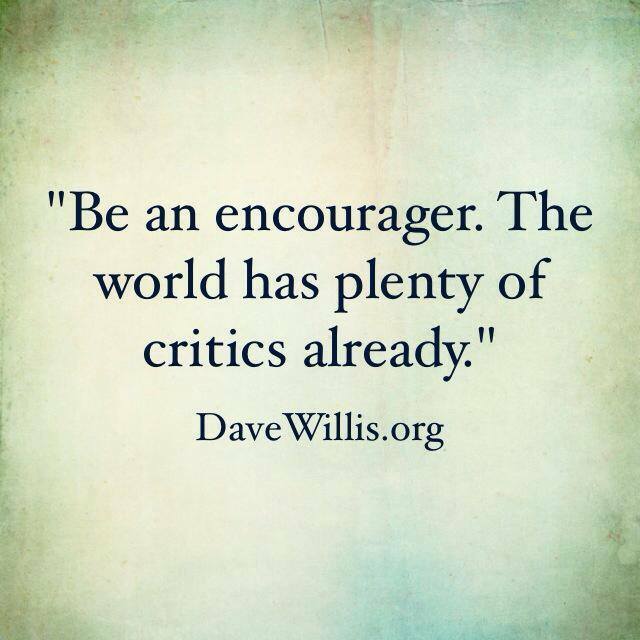 energise others by setting the bar high. balance achievement with compassion and learning with understanding. What lessons can principals learn from good managers and vice versa? It is something to reflect on this week. I know I am reflecting on the fact this year I am part of a Senior Leadership Team not a Management Team. There is a difference. It was a very wet and cold weekend here in New Plymouth and it provided me with a great opportunity to catch up on some professional reading. It was relevant to my current position and my NAPP experiences which I am frequently thinking about. 1. Mindful school leaders are present. Simply put, it means they exist in the now, in the present. They do not engage in undue worry about the past or the future. Their energies are directed toward the current moment. That does not mean school leaders do not plan. It means they do not obsess with those plans, and they are not so attached to those plans that nothing else matters. 2. Mindful school leaders are aware. They are aware of their own inner life. In other words, they are skillful in the art and science of emotional intelligence. They know themselves. They never feel themselves overtaken and blindsided by their own emotions. Mindful school leaders know who they are, inside and out, and are not deluded into thinking more of themselves than they should. 3. Mindful school leaders are calm. They don’t panic. They face trying circumstances with control. Mindful school leaders act with centeredness and authenticity at all times. Their calmness is a natural part of who they are. 4. Mindful school leaders are focused. They “channel resources to accomplish priorities.” They concentrate on what’s important. Mindful school leaders know what’s important and they zero in on that. 5. Mindful school leaders are clear. It is this clarity of mind that makes it possible to make the best decisions. They understand their own motivations and why they do what they do. They, as Gonazales aptly points out, “know what is important.” Mindful school leaders exhibit a clarity of mind that fosters quality decision-making. 6. Mindful school leaders are equanimous. This is the ability to accept things as they are, not in the spirit of resignation, but simply to be at peace with reality. They do not spend time fighting fruitless battles. They do not engage in unrealistic expectations. Mindful school leaders are at peace with their reality. 7. Mindful school leaders are positive. They are a “positive force” in their schools or school districts. They understand leadership means serving others. Because of their positivity and service to others, they inspire those around them. Mindful school leaders act and live in affirmation and are an inspiration to those they serve. 8. Mindful school leaders are compassionate. They deeply care those around them. They know and understand and engage in self-compassion too, because taking care of self is important too. Mindful school leaders act with compassion, not in self-service and self-promotion. 9. Mindful school leaders are impeccable. As Gonzales points out, they aren’t perfect, but mindful leaders act with integrity, honesty, and courage. They accept responsibility for what they do and do not blame others for honest mistakes. Mindful school leaders always act with integrity, honesty and courage when leading their schools or districts. As I progress through my NAPP year I am continually thinking about school culture. For school leaders, defining a school’s culture – the core values, practices and organizational structures – is a necessity. In fact, a school’s ability to improve performance depends on it. But fostering a performance-based culture is not something that can be completed and checked off a single to-do list; it is an ongoing. It is a process like so many thing I am reflecting on currently. When setting expectations, clear communication is key. This is an issue that comes up constantly in my blogs recently. High-performing school leaders are effective in messaging that school is a place with specific standards that enable both staff and students to thrive. I often share the following example with school leaders and find that it resonates – unlike an elevator or a place of worship, where there are unspoken norms for behavior, new schools and existing schools that aim to rebuild their culture need expectations to be stated explicitly. These values are upheld through established cultural elements that are consistent and visible from classroom to classroom. Such elements often include instituting a identifying one positive behaviors or mega-cognitive skill per month to highlight across the school, drafting guidelines on issuing rewards and consequences for student behavior and establishing school routines and rituals.